The Taoiseach has said he thought a tweet by Lord Kilclooney calling him a "typical Indian" was from a parody account. There has been widespread condemnation of the remark from the former Ulster Unionist deputy leader, who defended the tweet and last night insisted he was "in no way racist". Alliance leader Naomi Long is writing to the Speaker of the House of Lords to ask if sanctions can be taken. "Lord Kilclooney's behaviour is increasingly reflecting badly on the entire House," she said. Speaking at Leader's Questions in the Dail yesterday, Mr Varadkar said: "In terms of Lord Kilclooney's tweet, I did see it. I actually had thought that was a parody account, but seemingly it's not. It actually is for real, but that's all I'll say about that." The chair of Westminster's Indo-British All-Party Parliamentary Group Virenda Sharma described the tweet as "offensive and completely misplaced". But he added that it did not "undo the years of positive and constructive engagement Lord Kilclooney has contributed to the UK-India relationship and the all-party group". Mr Varadkar is the son of an Indian immigrant from Mumbai. His mother is from Dungarvan in Co Waterford. Lord Kilclooney had been tweeting on Monday in response to a news story about the DUP accusing Mr Varadkar of having "poor manners" regarding his visit to Northern Ireland. The party claimed that by failing to inform elected representatives of his visit, he had not followed protocol. But the Northern Ireland Office yesterday said Mr Varadkar had followed "all protocol" and it had received prior notification. Lord Kilclooney defended his controversial tweet, but admitted he regretted "the misunderstanding" about it. "Had it been an Englishman, I would equally have stated 'typical English' as they know little about politics in this island", he said. "They can accuse one as much as possible of being racist, but I certainly am not, as my work over the years for Muslims, Turks, Indians confirms." Ulster Unionist leader Robin Swann said there could be "no excuse" for Lord Kilclooney's tweet and added that "he doesn't speak for me". Lord Kilclooney responded: "Glad I gave Robin Swann an opportunity to say something as he is the invisible leader of unionism." Former UUP leader Mike Nesbitt said he could only interpret Lord Kilclooney's tweet "as a racist comment". DUP MLA Christopher Stalford said: "I don't know what John Taylor thinks he's playing at but he doesn't speak for me. Absolutely ridiculous behaviour." Mrs Long said: "Lord Kilclooney's tweet was a racial slur and there is no defending it. "It was calculated and deliberate disrespect which attached a negative attribute to an entire nation of people. "It was insulting of the Indian people, it was insulting of the Irish people and it was insulting of Leo Varadkar." Sinn Fein Senator Niall O Donnghaile said the Irish Senate must register its opposition to the tweet with the House of Lords. 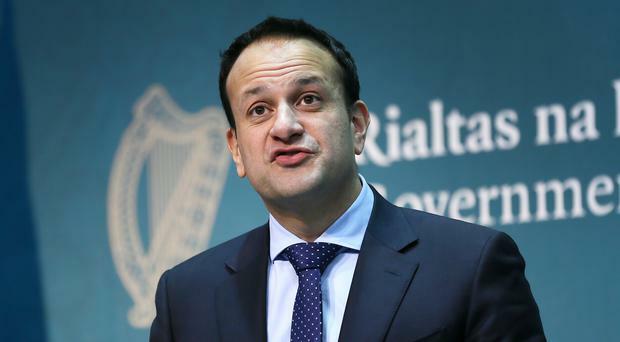 He added he would be asking members to urge the Lords to take action "regarding the consistent and abusive nature of the tweets directed by one of their members to An Taoiseach Leo Varadkar". Lord Kilclooney faced criticism last year after referring to the Taoiseach as "the Indian". He claimed he used the term as shorthand for 'Taoiseach' because he "couldn't spell his name". He later said he withdrew the remark for the "upset and misunderstanding caused".